Any Michigan motorist is required, by law, to carry no-fault benefits on their auto insurance policy. No-fault automobile accident insurance means you are entitled to benefits regardless of the type of car accident you are involved in, and regardless of which driver was at fault in the accident. Following a car accident, you could follow the insurance company’s guidelines completely and still have your claim denied. The unfortunate truth is that large insurance companies often spend months delaying your benefits or outright denying the benefits you deserve. Hiring a Michigan no-fault car insurance lawyer will help you understand your car insurance benefits after an accident and secure the benefits you are entitled to, saving you from shouldering the burden of any costs associated with the accident. What Is No-Fault Automobile Accident Insurance? One of the biggest benefits of no-fault insurance is that it provides unlimited medical and rehabilitation benefits for injuries sustained in a car accident. No-fault insurance is also intended to provide financial help in cases of income loss, in-home care, and funeral costs, should there be a fatal car accident. Insurance companies must cover these costs when you carry no-fault insurance. The difficulty for some Michigan residents is that they have trouble recovering their rightful benefits. Medical costs can financially devastate a family after an accident. Knowing how to take advantage of your benefits is critical. Michigan auto accident no-fault insurance benefits are unique to this state. They were put in place to ensure that money is promptly paid to accident victims for their medical bills, lost wages, and replacement services. Unfortunately, too many insurance companies are willing to collect premiums but unwilling to pay the benefits you deserve. No-Fault Law: In Michigan, no matter who was at fault in your car accident, your car insurance provider is obligated to pay some or all medical expenses and lost wages. No-Fault Insurance: When you carry no-fault insurance, you are following Michigan law and protecting yourself from major financial ruin. Your no-fault accident insurance policy covers you as a driver or passenger (even if you or a family member is a passenger in someone else’s vehicle). No-Fault Insurance Claims: Even though you have no-fault auto insurance, if an insurer refuses to pay for your care, denies your requests for payment, or requires you to have a medical exam performed by the doctor of their choosing, you have the right to pursue a claim against the insurance company. Mini-Tort: Vehicle damage incurred in a car accident is covered by the mini-tort law in Michigan, which allows motorists who are not at-fault in an accident to recoup some out-of-pocket costs for vehicle repairs. No-fault auto insurance benefits do not cover property damage. Do You Need a No-Fault Auto Insurance Lawyer? Do you believe you are being treated unfairly by your insurance company? No-fault insurance benefits can be confusing and insurance companies often use this complicated language to their advantage so they can avoid paying the compensation you deserve. 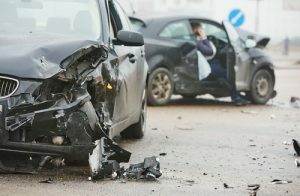 The trauma and emotional distress after a car accident can also work to the insurer’s advantage, as some auto accident victims are willing to take whatever check is being written to them to alleviate their financial woes and get money quickly, even if the payment is far less than it should be. At Thurswell Law, we understand how difficult dealing with insurance companies can be, particularly if you or a loved one has been injured in a car accident. We want to alleviate the pressure that medical costs and other bills place on you during this traumatic time. We will get the insurance company to pay you the benefits to which you are entitled. Contact Thurswell Law today to schedule your free consultation with one of our Michigan experienced no-fault auto insurance lawyers. Call 248-354-2222.